Created to provide helpful information about the New York Cannabis Industry. To access the state traceability portal, please click here. **Reminder: Your password for the traceability portal expires every 45 days. Please make sure to update your password accordingly. Information will be updated here as it becomes available. Check back for updates! Please note; while we aim to keep this pages fully up to date with the latest information, cannabis laws are always changing. We encourage you to verify these rules and regulations in the official legal text, which we’ve linked throughout the page for your convenience. Dispensaries sell legal cannabis, and cannabis products, to responsible adults in compliance with local regulations. In New York, Dispensaries are part of Registered Organizations. There are currently 5 Registered Organizations in New York. 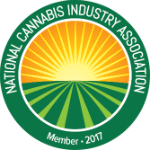 Each Registered Organization has 1 location dedicated to manufacturing cannabis. Manufacturing facilities are also known as cultivation facilities or grows. A New York Registered Organization consists of 1 manufacturing location and 4 dispensary locations. Smoking as a method of administration is prohibited by the Compassionate Care Act. Edible products are also not permitted. How Do I become a Registered Organization (RO)? To protect the public’s health and safety, registered organizations must meet high product quality standards in New York State. Final products must be tested for their cannabinoid profile, as well as for various contaminants and pesticides. Until such time as independent laboratories are certified in New York State to test medical marijuana products, the Department of Health’s Wadsworth Laboratories is conducting the final product testing. The regulations require that the testing of each lot of final medical marijuana product be conducted with a statistically significant number of samples using acceptable methodologies to ensure that all lots manufactured of each medical marijuana product are adequately assessed for contaminants and the cannabinoid profile is consistent throughout. The Compassionate Care Act requires that the Department set the price of medical marijuana products. The Commissioner must set the price per dose of each form of medical marijuana sold by the registered organizations, and must take into account the fixed and variable costs of producing the form of marijuana in approving such price. The Department is actively working on the pricing process. The Department will review proposed prices submitted by the registered organizations and may approve, deny or modify proposed prices. What are the fees for participating? Fees for producers and dispensaries are to be determined by the Health Commissioner. A list of Registered Organizations can be found here. What kind of point-of-sale do I need to operate a Registered Dispensary? Most states require dispensaries to track and trace all of their cannabis-related products for regulatory and compliance reporting requirements. Our cannabis POS and inventory management system provides comprehensive seed-to-sale cannabis tracking with a focus on compliant data points. If your state requires seed-to-sale systems to stay compliant, BioTrackTHC has you covered. Our system is customized to meet the unique regulatory frameworks in each and every state. Before receiving medical cannabis, patients must register with the New York Department of Health. How can I obtain a New York Medical Marijuana Card? Patients should first ask their treating physician if s/he is registered with the Department of Health’s Medical Marijuana Program. If your physician is not registered and does not plan to participate in the program, s/he can make a referral by accessing a database (called the Health Commerce System) that identifies a list of registered physicians who have consented to be listed, and their specialties. You may direct your physician to more information on registering with the program here. Does my condition qualify for Medical Cannabis in New York? Can a minor apply for a New York Medical Cannabis Card? If the applicant for a registry identification card is under the age of eighteen (18) or a person who is otherwise incapable of consenting to medical treatment, the application must be submitted by an appropriate person over twenty-one (21) years of age. The applicant must designate at least one, and up to two, caregivers who must be among the following: (i) a parent or legal guardian of the certified patient; (ii) a person designated by a parent or legal guardian; or (iii) an appropriate person approved by the Department upon a sufficient showing that no parent or legal guardian is available or appropriate. Caregivers are responsible for transporting medical marijuana from a dispensary to a registered patient. A patient will be able to designate up to two caregivers during the patient registration process. After patients have registered successfully, caregivers may then do so to obtain a registry identification card. How do I register as a New York Caregiver? A patient who is registered with the program must first designate you as a caregiver during the patient registration process. Upon approval of the patient’s registration, the caregiver(s) may register. The patient will have access to instructions for caregiver registration. To register with the Department as a designated caregiver, you must be a resident of New York State and have a valid NYS Driver’s License or New York State Non-Driver ID card.with departmental approval. What do Caregivers need to do to be able to help a Certified Patients? Registered Practitioners are physicians that have undergone special training by the Department of Health and are authorized to recommend medical cannabis. Who can recommend Medical Cannabis in New York? Where can I find a list of Registered Practitioners? A list of Registered Practitioners can be found here. Note that not all Registered Practitioners are listed, only those that consented to the publication of their registration. 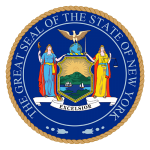 New York’s Medical Cannabis Program is operated by the Department of Health. For the latest cannabis-related legislative updates on New York, check out our Cannabis Bill Tracker! Closely monitor thousands of plants in our easy-to-use cultivation grid, while logging strain notes to monitor genealogy and ongoing clone potency, optimize your future yields and watering/nutrient cycles; all while easily staying compliant. Convert multiple barcodes and any variation of product conversions you please. Easily stay compliant while managing your inventory down to the exact milligram. Monitor thousands of products through a single interface. Automatically keep track of expiration dates, product recalls, and test results, keeping you safe from legal complications. Utilizing a locally hosted server, as opposed to a cloud server, increases security and reliability. Retain 100% database ownership knowing no one, not even BioTrackTHC employees, can access sensitive client or operational data. Adherence to state and local cannabis regulations in all active markets. Print compliant labels, enforce sales limits, and verify recommendations quickly and accurately. Regular system updates ensure compliance if regulations change. Take advantage of over 100 advanced reports to make profit-minded decisions based on predictive yields, sales trends, average wait time and more. Need to upload financial reports to an accounting system? Easily export reports, save in the desired format, and upload. Live Phone, Chat, and Email support from 8am-8pm PST. Supplement initial training with online tutorials, wikis, and monthly best practices features. NEW YORK SUCCESS STARTS WITH CONTACTING US!